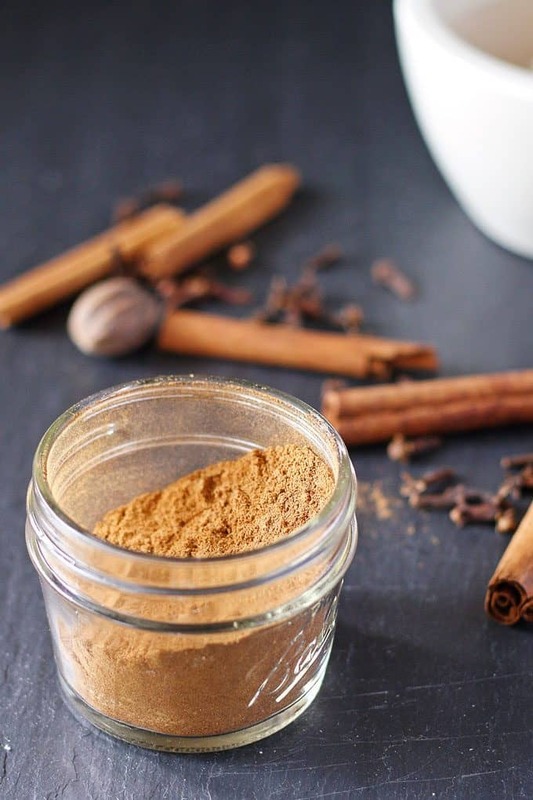 Make your own pumpkin pie spice mix with 5 easy ingredients. 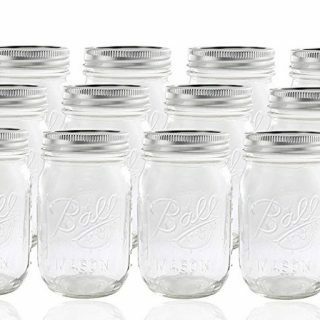 Never buy it at the store again! I was messing around in the kitchen over the weekend, experimenting with some fall recipes and I ran out of the store bought pumpkin pie spice mix I had. Then I remembered what happened that last time I ran out of a pre-made store mix – my taco seasoning mix was born. Love love loved it. So I tried my hand at making a pumpkin pie spice mix and I think this one is a winner. 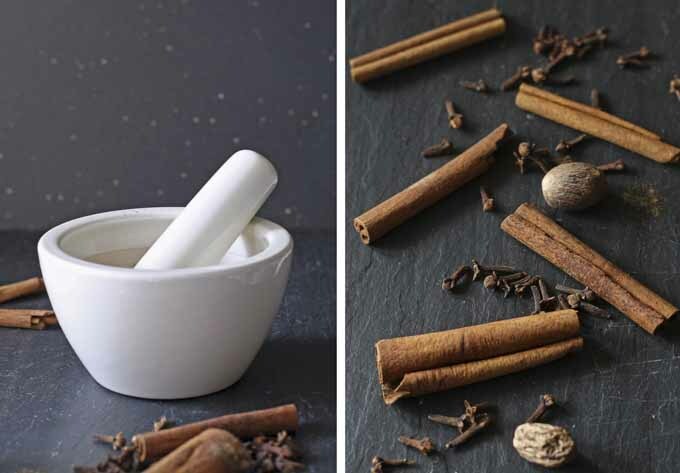 I had everything on hand so the most difficult thing I had to do was grind the cloves with my mortar and pestle. 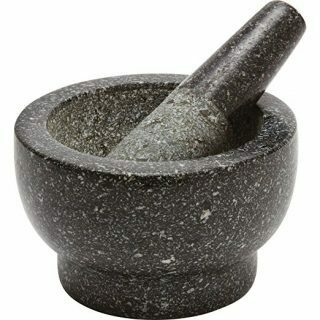 Using a mortar and pestle is harder than I expected/remembered – my forearm is a little sore still. It is totally worth it though. If you happen to have a coffee grinder handy, you can try that instead. It may/may not work according to my research. I have also heard that taking a hammer to the cloves assists in the grinding. Thought about trying that out too, but then it started raining outside (I was going to put them on the concrete sidewalk) so I just stuck with the old school method. You only need 5 ingredients to make pumpkin pie spice. I had ground cinnamon and nutmeg already on hand but you can use freshly ground instead if you want. 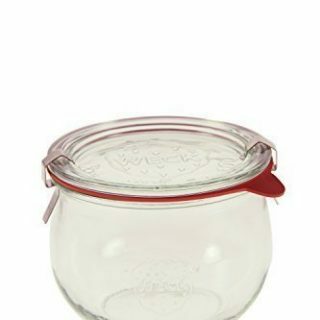 This is totally personal preference and what is handy in your kitchen. Stir all of the ingredients together and store it in a sealed container. Your spice mix should stay fresh for 2-3 years if properly stored. I see many pumpkin pie spiced goodies in your future. 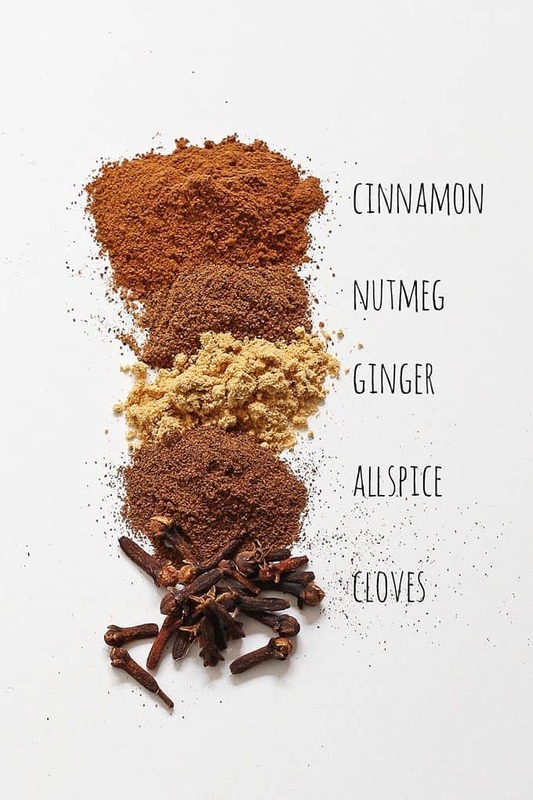 Just in case you are searching for some more ways to use your pumpkin pie spice mix, I have done some research for you. Combine all ingredients in a bowl. Store in an air-tight container. Mixture can be easily doubled/tripled/etc. This is great. I just ran out of PPS! Thanks! You’re welcome Chrissy – I am on my way to see what Hungarian goodies you have on your site. I’ve been dying for some lecsó! Linda, I hope you give one or two of these recipes a try! This is great!! And I bet it’s better than the one you buy in the store! Thanks for sharing on the What’s for Dinner link up and don’t forget to leave a comment at the party – Next week’s features that also leave a comment get pinned and tweeted! Just in the nick of time, because I’m so hungry for all the pumpkin goodies I can’t wait. As soon as the first pumpkins hit the store, I’m roasting up a an oven-full! Thanks for sharing this on Helen’s The Lazy Gastronome link party. Without it, I’d have had to experiment on my own this fall, because I just didn’t want to buy a pre-made mix this year. Incidentally, I use a Braun coffee grinder like the one in your photograph lower on the page, and it grinds spices beautifully. I have even ground wheat berries to make flour when I ran out! 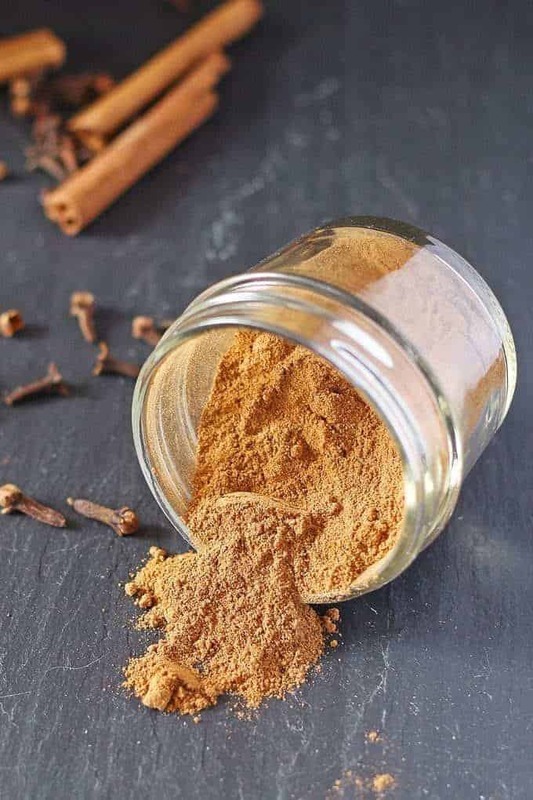 Just as with coffee, you need to grind for short periods, no more than fifteen seconds, or you heat the spices up and lose flavor. But it takes only a couple of 15 second pushes, usually, to grind a quarter cup of cloves. I am not affiliated in any way with the manufacturer. I just happen to own one of their grinders. What a great idea to make this yourself! Love it! Pinning and saving for sure. I would love to have you visit and link up at Family Joy Blog Link-Up Party Sundays at noon EST on Ava’s Alphabet. Have a great week! Oh, I need this. I moved where there isn’t any pumpkin spice mix. I’m excited to mix up my own. I swear I can smell this from Wyoming. I have to try this, as I am 100% guilty of always using the store bought Pumpkin Pie Spice, and this sounds like it would be so much more flavorful. Thanks for sharing at the weekly Get It Together Link Party. We hope to see you again next week! Wow! I live in Indonesia and we never feel autumn at all. Pumpkins are for different types of food. However, I am surprised that our country is very rich with those spices. I wonder how they can mix them with pumpkins. It is something to try. Thank you for sharing at Family Fun Friday. Thanks for sharing on the What’s for Dinner link up – Would love it if you would comment there! And don’t forget to visit a few other bloggers while you’re there! Looks delicious! I love the suggestions on how to use them! Forget baking, I’d use this in my coffee EVERY morning! Thanks for joining the Creative K kids’ Tasty Tuesday – I can’t wait to see what you share with us next week! 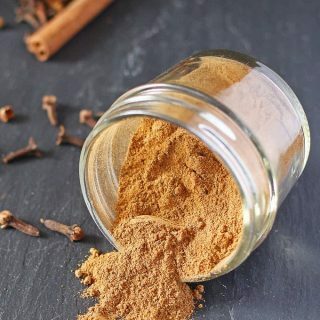 I LOVE pumpkin pie spice mixes! Everyone seems to have their own unique blend, and they all taste amazing! Lots of creative ways to use it, too! 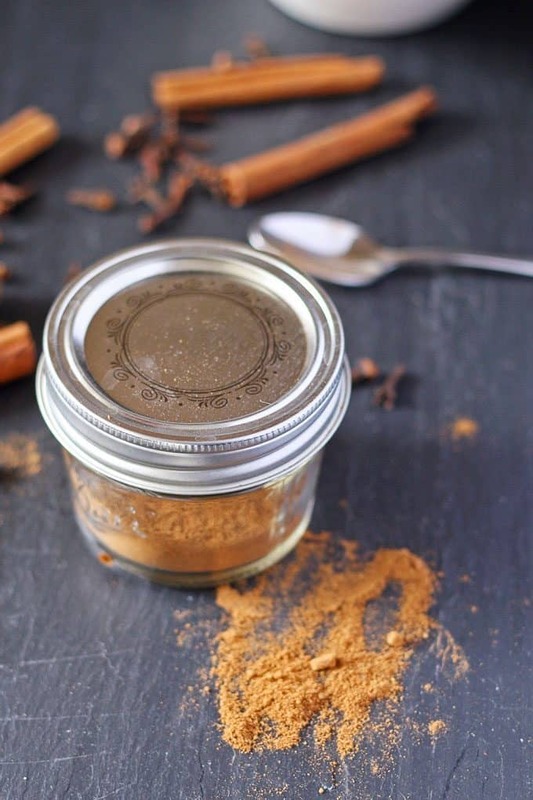 Great ideas for your awesome homemade Pumpkin Pie Spice! I really appreciate you sharing your awesome post and your talent with us at Full Plate Thursday. Have a great weekend and come back soon!